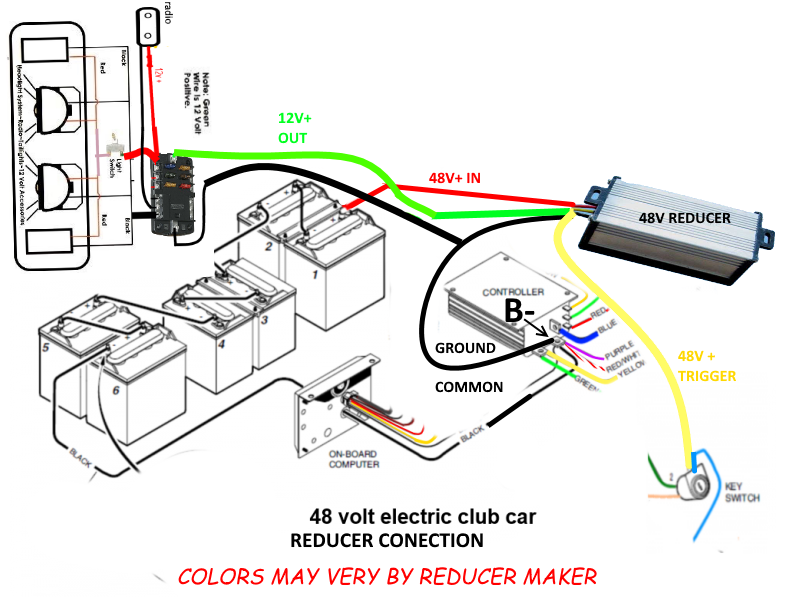 Voltage Reducer OUTPUT to the light harness positive and negative accordingly. still confused as someone removed wires or harness.I see the VR has one lead that splits at the end with 2 female insulated spade/blade type connectors that have no marks or color to distinguish polarity.The other lead has single ring/terminal 5/16 that goes to negative stud/post near controller. Is there a part number on the reducer? Any markings? It sounds like a ground side reducer. You connect your accessories to 16V, and ground them to the reducer. That reducer does not Supply 12v like the aftermarket types you see on various websites. Thanks!see it now,I NOW,dont think this component is a voltage reducer..?it only has 3 total connections!maybey it is a Batt indicator component??? ?